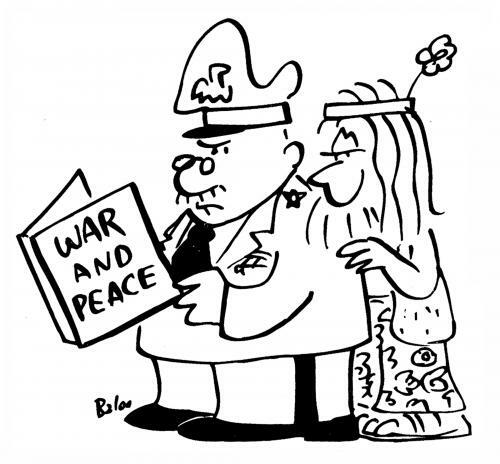 There are a few read-a-longs of 'War & Peace' occuring in the book blogging community in 2011. It turns out that it's a perfect one year challenge: If you read one chapter a day, apparently, you will be done at the end of the year. So I thought that during these challenges that I read so much about, why not begin a similar challenge with my non-virtual world book club (jokingly referred to as 'book club in real life')? ...or whatever. Would love to hear some suggestions on awards and please leave a comment if you're also planning on reading 'War & Peace' this year, whether part of a challenge or otherwise. I didn't know that it was a perfect year-long read... that's really interesting. If I think about it, I may try to start that this week. It'd be nice to say that I've read War & Peace, even if it takes a whole year to get through it! Just hopping by from the Blogger Hop. Hope you have a great reading week. Just stopping by from the Book Blogger Hop. Have a great week! Very cool blog! Hopped by from the Hop! Stoping through via the Hop! I love Classics. I'm studying for my ENglish Lit. GRE right now so I'm ready quite a few classics Love your blog. Happy Hopping!